We asked one of our clients to give us their impressions at a China factory visit during procurement recently. Read below to get an idea of how they felt during this trip, regarding the problems faced with remote factories in China. This is one of a series of blogs that we will title: Buyer Diary. 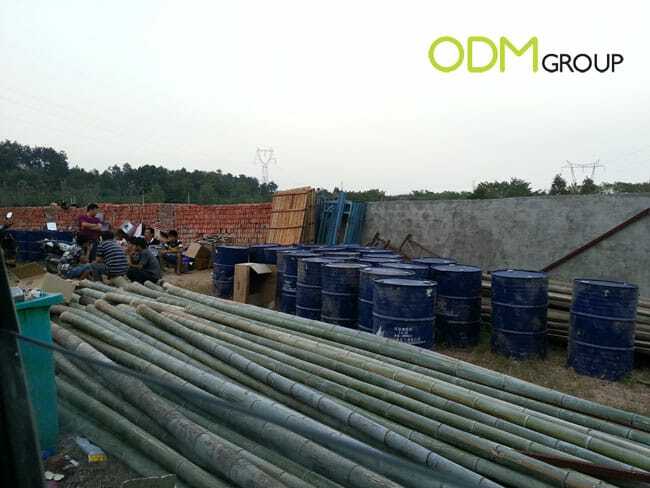 ODM has had procurement experiences dealing with remote factories in China. Remote, meaning factories that are situated in the suburbs or villages. For this entry, we will discuss the pros and cons faced when working with such factories. First of all, these factories are remote. It might be hard for you to chance upon one, but if you do, don’t get too caught up in the good deal of a cheap supplier. Chances are, you might face upcoming problems which would burn a hole in your pocket. Then you wished that you never bumped into this factory in the first place. It is simple. They are remote; they have less competition, incur less operating costs, such as rent and so on. You get your goods cheap. A good bargain is what everyone is looking for, isn’t it? Here you have a very good business deal. These factories are tough to locate. That equates to fewer orders for them, and you can easily require the factory to focus on your order. With this, fewer mistakes can be made if the factory is fully focused on a single order. Based on our experience, it is easier to give these factories some pressures. Things could be done just by inserting a slight amount of pressure! The hardest factories to deal with are probably remote factories. The following list explains the possible problems faced when working with such factories and the bad outcome it can lead to. As these factories are inexperienced and not knowledgeable, sometimes business protocols don’t mean much to them. Therefore, they can be hard to manage just based on contracts and agreements. Because the factory has inexperienced managers, the management system in the factory may be the root of all problems. A leader who is unable to lead will cause the organization to fall. ODM has encountered factories which did not deliver products as promised due to the incompetent management of the factory. This topic will be elaborated more in the next entry of buyer’s diary. These factories usually employ workers that are not trained and pay them the bare minimum salary. These workers are from villages, not being career minded or driven. They are looking to work the minimum and receive a satisfactory pay. Of course, we’re not saying that this applies to all, but it is the trend which ODM has noticed throughout remote factories. You can read more regarding this manufacturing problem on China Factory Visit- Buyer Diary #15 Manufacturing Problems. It is more common for remote factories to face this problem rather than factories located in China’s cities such as Shanghai or Beijing. China Factory Visit – Buyer Diary #17 Manufacturing Problems Solution explains some of the solutions that ODM has with regards to such problems.